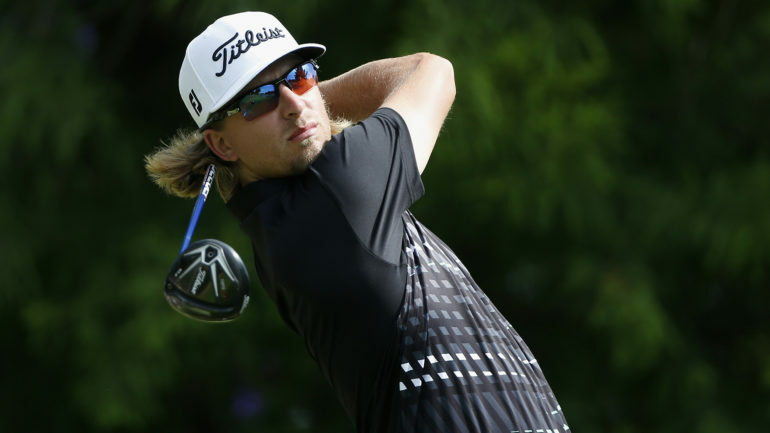 BOGOTA, Colombia – Former LSU golfer Ben Taylor opened his week at the Web.com Tour’s Club Colombia Championship with a 4-under 67 to sit one shot off the 18-hole lead entering Friday’s second round at host Country Club of Bogota. The 25-year-old, who spent much of the day flirting around the top of the leaderboard, took outright control of the tournament with birdies on Nos. 15, 16 and 17 to post 5-under 66 and 9-under 133 through 36 holes, good for a two-shot lead entering weekend play at the ninth annual event. Taylor, who originally hails from London, England, was one-over par through three holes in his second round, but rallied early with birdies on Nos. 4 and 8 to turn in one-under 34. A birdie on the par-5 10th pushed him to two-under for the day, but it was a par save on the narrow par-4 13th that kept the round going. “I hit my tee shot left on 13, and I had to hit a good second shot knowing that I couldn’t go long of the green, and I managed to hit a chip-and-run 180 yards to the middle of the green, and from there two putt to keep the momentum going,” he said. 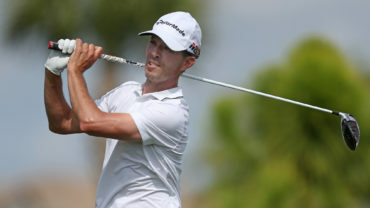 The clutch save on the back nine gave way to a torrid finish for the Orlando resident, as birdies on 15, 16 and 17 moved him from the role of hunter to that of hunted, thanks to a 9-under 133 tally and a two-shot advantage with 36 holes to play. “I knew I was close, but I’ve been in this situation a couple of times now having played my rookie year last year, so I learned to stick to the game plan and close out a good finish, which we managed to do,” said Taylor when asked if he was looking at leaderboards. Taylor, in his second full season on the Web.com Tour, entered the week with one top-25 in three starts this year – a T19 at The Bahamas Great Abaco Classic. As a rookie in 2017, he recorded three top-25 finishes in 22 starts, including a career-best T7 at the Knoxville Open in August. One of Taylor’s three top-25s came at the Club Colombia Championship, where a final-round 65 propelled him 24 spots up the Sunday leaderboard and into a tie for 21st. 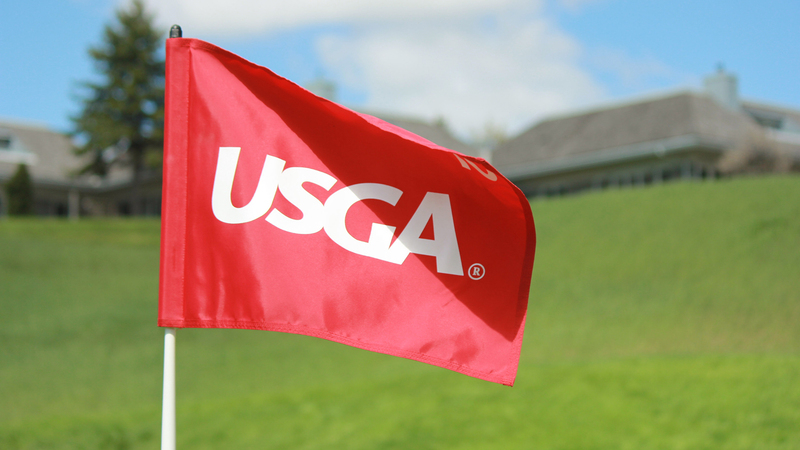 Argentina’s Augusto Nunez, Canada’s Roger Sloan and Conner Godsey of the United States are tied for second, two shots back of Taylor at 7-under 135. Nunez, who was one of four players to share the opening-round lead, birdied three of his first six holes on his way to a 2-under 69. Beginning his round on the opening nine, Nunez birdied Nos. 2, 3 and 6 to race out to a three-under-par start, immediately seizing the outright lead at eight-under for the week. Friday’s large crowds, which dotted the fairways and stands of the prestigious club located in the heart of downtown Bogota, triggered a few less-than-stellar holes for Nunez, as bogeys on the par-5 10th and par-4 14th dropped him down to 6-under par. A late birdie on the par-4 17th righted the ship for the Buenos Aires resident, who finished the day with a 2-under 69. In 61 career starts on PGA TOUR Latinoamerica between 2012 and 2017, Nunez recorded 15 top-10 finishes, including a victory at the 2016 Flor de Cana Open, where his 25-under-par total set the Tour’s all-time scoring record. The $121,173 he earned that season gave way to a second-place finish on the Order of Merit and a Web.com Tour card for the 2017 season. Nunez made 7 of 20 cuts on the 2017 Web.com Tour, recording a career-best runner-up at the Corales Puntacana Resort & Club Championship. Nunez missed the cut in Bogota with rounds of 72-82—154, a full 19 shots higher than his 2018 tally at the event’s halfway point. Sloan, who finished solo-fourth at last week’s Panama Championship, was even par through four holes today before playing his final 14 in 5-under par to move into a tie for second. 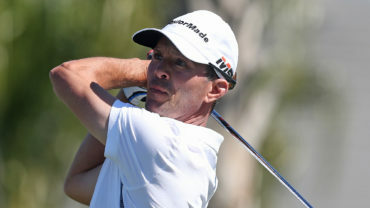 The former University of Texas-El Paso golfer is making his 94th career Web.com Tour start this week and looking for his first victory since the 2014 Nova Scotia Open. Of the three players tied for second, Godsey is perhaps the biggest surprise, as the week marks just his sixth career start on the Web.com Tour. The 25-year-old finished T16 at Q-School in December to earn status for the 2018 season and entered the week with made cuts at The Bahamas Great Exuma Classic and the Panama Championship. He is currently No. 81 on the money list with $3,534 in earnings.